A monthly gathering of Pacific Northwest makers. This market is held on the weekend of a full moon or the weekend closest to the full moon. Join us for a day full of crystals, minerals, gems, beads, and fossils, as well as unique and creative arts and crafters. All are welcome, and there's no cover to enter. Kids are welcome, but please do not leave them unattended (there are lots of fragile items here). Enjoy over 50 wonderful vendors! Just in time for your Mother's day shopping, come join us for another popup market at Populuxe Brewing. We'll have great local vendors, delicious food, award winning beer from our fabulous hosts. Seattle’s favorite Saturday Market + Night Market returns to the streets of South Lake Union by Denny Park on Saturday, May 4th! Our market is a public market that showcases Makers, Finders and Foodies! Our monthly Night Market returns in every 3rd Saturday starting June 15th. Tentatively this is the date of our 1st flea market -more details on vendors to come! As part of the Belltown Art walk a group of local and independent vendors get together to offer an eclectic array of crafts including the finest hand made jewelry, recycled creations, culinary creations, nerdy wares, vintage finds and representatives from small businesses. Spring is in the air for our big handmade & artisanal showcase of local makers curbside! Join and meet over 75 amazingly talented artists unique to our city! from jewelry to food purveyors, if it’s made in Washington, you’ll find it here! It only happens twice a year, so shop for your loved ones, birthday gifts or treat yourself! Treasure Hunt Collectors & Crafters Market will be held on the first Saturday in the months of February, April, June, October, November and December in 2019. We will have lots of things to see and buy, from vintage to rustic and re-purposed, amazing handmade goods and wares, specialty packaged and jarred foods, to items for that “hard to buy for” collector, or just a trinket or two for your individual likes and taste and specialty vendors that sell those special items we all know and love. There will be breakfast and lunch for purchase, including our famous clam chowder or creamy white chicken chili and pulled pork sandwich. There is covered parking and warm heat and cool air conditioning in those months that it is a must!! Looking for quality used precision tools? Gemstones, miscellaneous jewelry or art supplies? This swap meet is basically a big garage sale for local jewelers to buy, sell, and swap tools and supplies of the trade! There is NO CHARGE to attend and you don’t have to bring anything to swap but definitely bring some cash :) Be sure to check out the free table too! Who knows what treasures you may find? A pop-up gallery/market hosted at Scream Salon for Capitol Hill Art Walk. Featuring an eclectic array of artwork and hand-crafted wares by local queer folx. A Popup Market of Local Shops Curated by the Community. We asked over 600 Seattleites to share their favorite popups. Guided by their answers, we selected the 12 best shops based on availability and space constraints. We'll have tamales, greeting cards, ceramics, jewelry, games, leather accessories, henna art, woodworking crafts, donuts, and, of course, beer! Seattle’s largest monthly Winter Night Market at Magnuson Park Hangar 30 returns indoors on Saturday, February, 16th. Bring your favorite Valentine to explore & shop over 100 local pop-up shops showcasing makers, finders and foodies! Beer Garden and local entertainment & music included. Required donation benefits a Magnuson Park non-profit charity. Suggested donation is $5.00 at the door. Thank you for supporting local! Parking is always FREE at Magnuson Park parking lots, but always recommend carpooling or ride shares, Uber or Lyft. 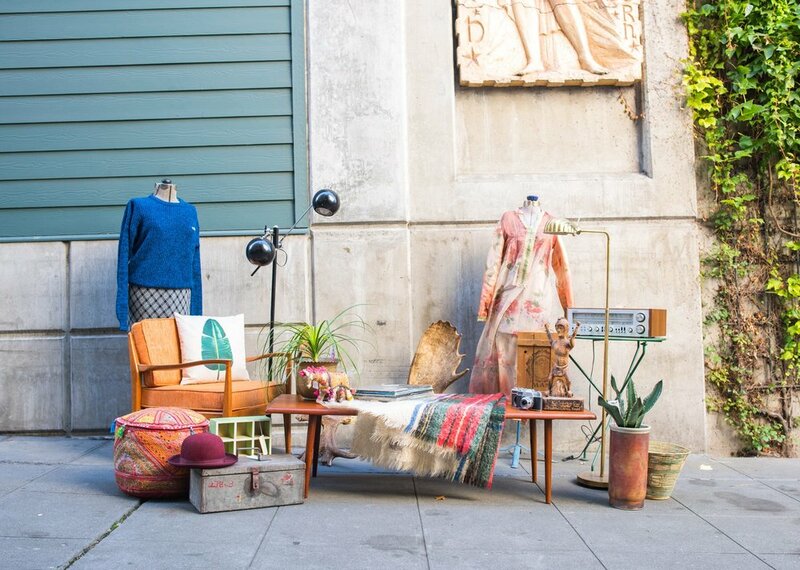 Join us for the first ever Dandy Flea at Capitol Hill’s Vermillion! An array of esoteric goods at flea market prices, drink specials at the bar, vintage, antique, strange and unusual things! And I’ll be resurrecting the “Wheel of Pain” where lucky(?) people can spin to win or to suffer the consequences! Admission is free! See you there! We Are Witchy… and we are back with another Basement Bazaar featuring Seattle Makers, Artists and Creators! Join us at Capitol Hill's best Bar/Pizza Joint!